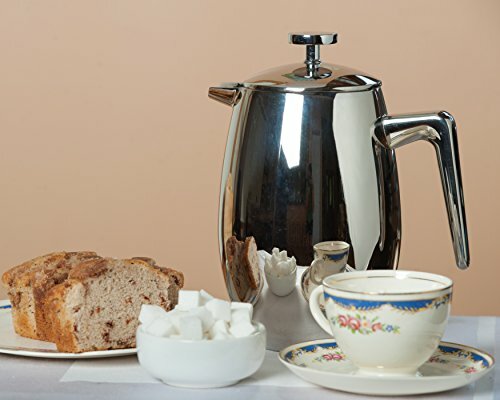 The FP Insulated French Press Coffee Maker is markedly different from all the other french presses that we have reviewed, as it has a stainless steel carafe instead of a glass carafe. 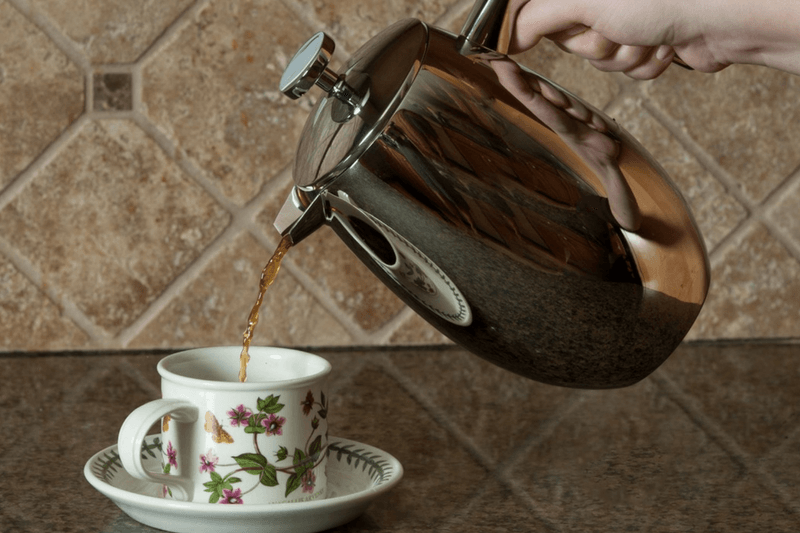 It resembles a traditional coffee pot with a plunger at the top and dazzling finish. Not only is the carafe beautiful, but it’s double-walled too. This allows it to work almost like a thermos, keeping the heat in way longer than glass carafes. This means that you get to enjoy a hotter cup of coffee since less heat is lost during brewing, and you can also use it to store some Joe for drinking later. Zero plastic in its construction. Double-walled design keeps coffee warm while the exterior remains cool. Grinds may get caught in some of the parts. Does not conserve heat as well as other stainless steel models. 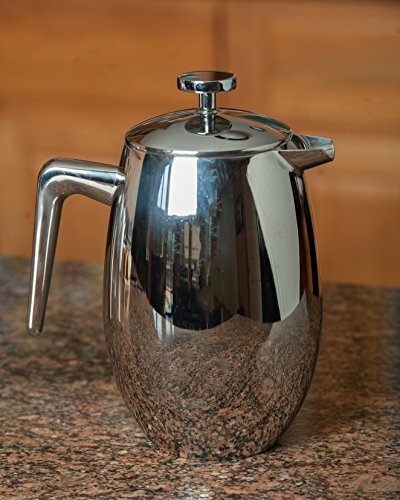 The stainless steel carafe of this insulated french press combines beauty with functionality, resulting in a truly brilliant French press. It costs more than a standard glass version, but the insulation provided by the double walls makes it worth the investment. And if you happen to be a hard-core coffee purist, you’ll be enthralled by the lack of plastic, allowing you to enjoy the untainted flavor just like Mother Nature intended. So if you don’t mind spending a bit more for an authentic experience, the FP Insulated French Press Coffee Maker is a good buy.